When it comes to adding facial oils into your skincare routine for fall, obviously nothing is new. These days facial oils are popping up everywhere from high-end brands to some solid, supreme budget buys. Basically facial oils are becoming pretty prevalent in the beauty world and they have no plans of stopping now. Hell my own beauty stash has quite a few- okay it’s more like 10+ and growing. Each facial oil is filled to perfection with their own purpose to indulge in beauty pampering. So imagine when a new facial oil fell into my mail drop courtesy of Kiehl’s, how giddy I was to test and try this skincare gem out. Let me just say it is pure perfection and a fabulous fit for fall. A few years back I was on an anti-oil product zone due to the mindset of applying oil and oily skin- who does that? However, I was far from wrong and once I realized that your skin actually NEEDS oil, facial oils have become my favorite skincare item. 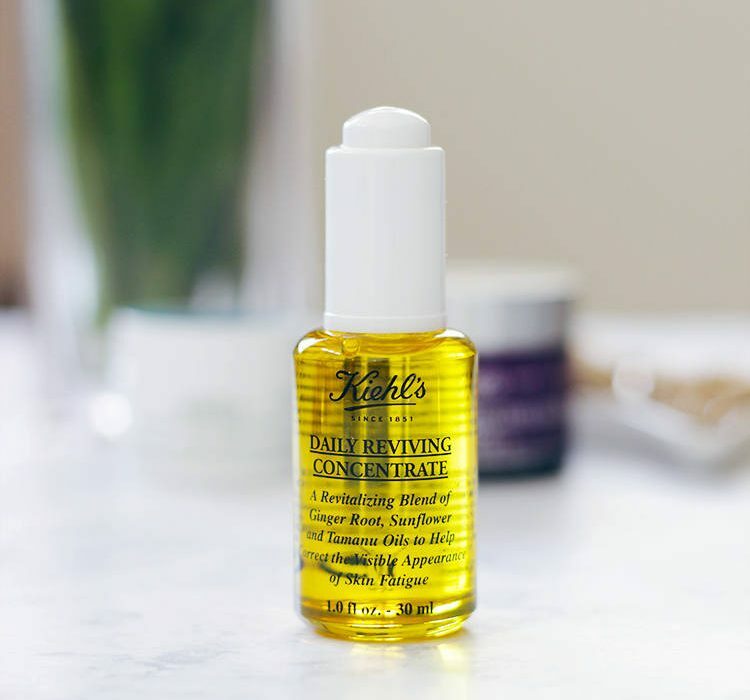 As a long time lover of the Kiehl’s Midnight Recovery Concentrate– also a Kim Kardashian favorite- I was ecstatic when I read that Kiehl’s was launching a daytime version of the cult classic! 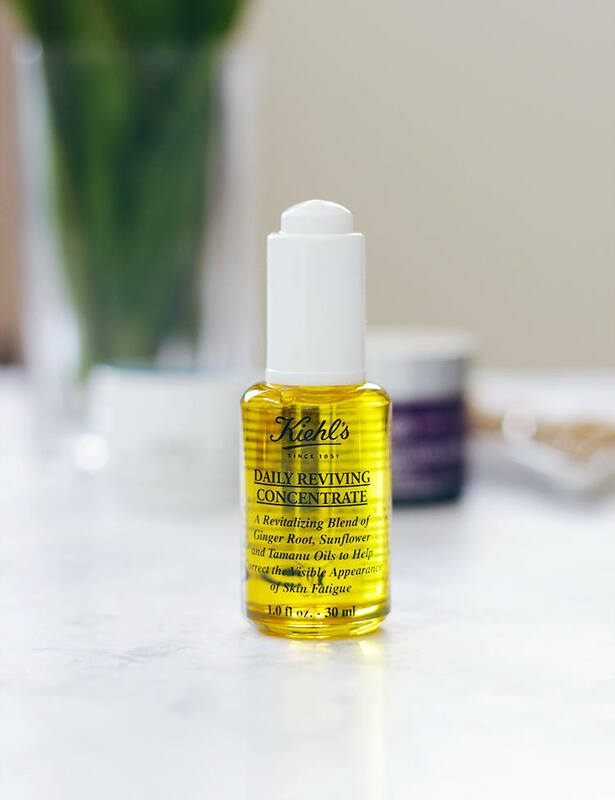 The Kiehl’s Daily Reviving Concentrate * is billed as a light facial oil that help awaken, revitalize and energize the look of fatigued skin all while supporting the skin’s daytime defenses. At first I was bit skeptical but OMG was I ever wrong, this stuff seriously will ROCK your world! Sunflower Seed Oil to help increase the skin’s hydration, reduce the appearance of redness and improve the skins smoothness. Tamanu Oil to help lock in moisture in the skin with its emollient properties all while soothing the skin. 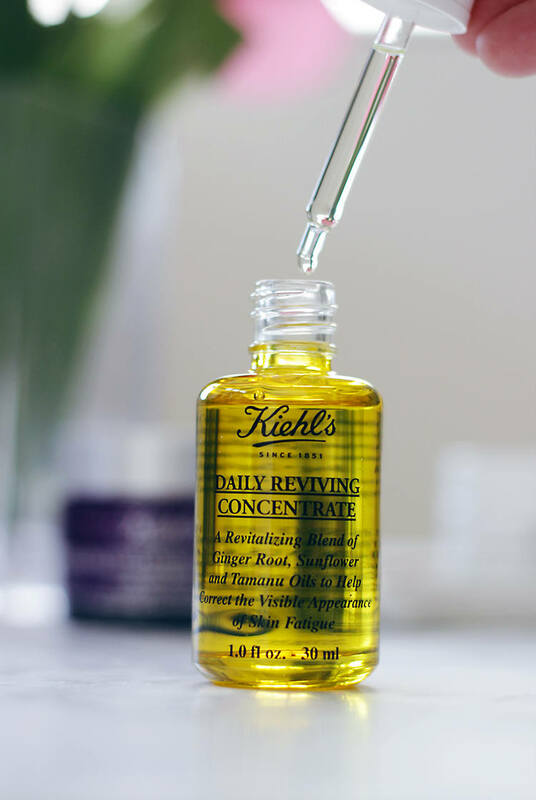 The Kiehl’s Daily Reviving Concentrate * is created to be used by all skin types including oily skin. All you need is 2-3 drops of this heavenly oil pressed into clean skin, after serum but before moisturizer and viola you are ready to take on the day. 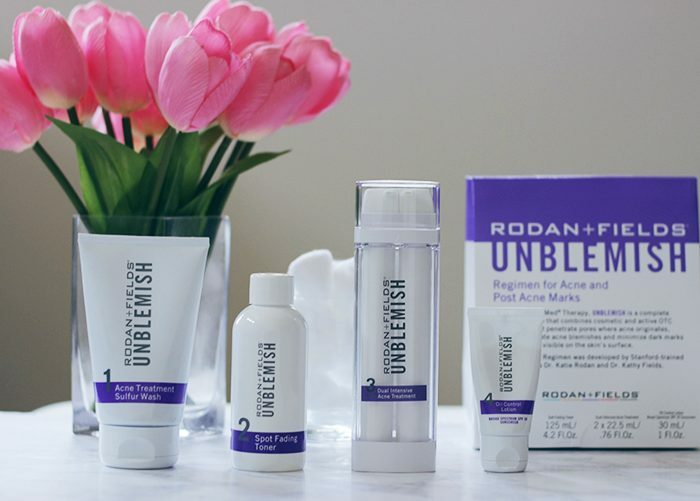 Skin literally left hydrated, radiance and youthfully awaken- I am OBSESSED and my skin seriously drinks up the stuff. Now I technically suffer lately from a weird case of acne-prone, combination to oily skin and seriously after one use my t-zone is less greasy, the acne prone, dry spots are significantly released. 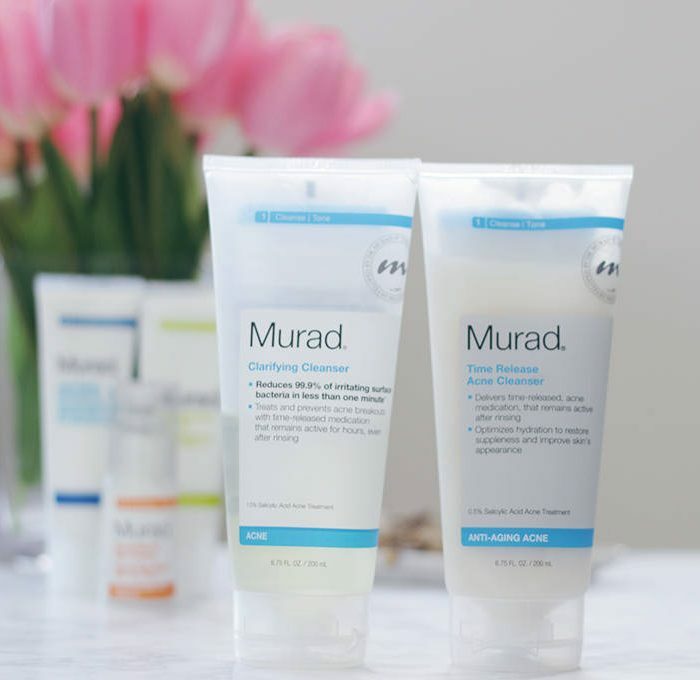 Needless to say it is time to say goodbye to dull, dehydrated and tired looking skin- there is a new sheriff in town. Kiehl’s Daily Reviving Concentrate * is available nationwide at all major retailers, Kiehl’s flagship stores, Kiehl’s.com for $46 USD.